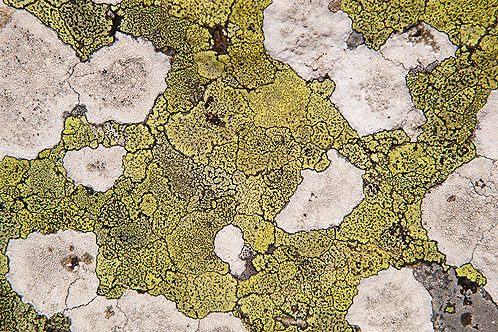 Each lichen is a flat patch bordered by a black line of spores. These patches grow adjacent to each other, leading to the appearance of a map or a patchwork field. Rhizocarpon is yellowish green when exposed to strong sunlight, but greenish where the light is weaker.